About one in four South Africans is currently blacklisted, meaning that around 25% of the population has a bad credit history. Being black listed can restrict your financial freedom as lenders will view you as a high risk customer and loans will be harder to come by. If you do manage to be approved for a loan with a bad credit record, the interest you pay will be higher so it is important to know your credit status and avoid non-payments that will be reflected on your credit history. How does one get a bad credit history? A lender can choose to blacklist you if you fail to pay your dues. This will be registered by the National Credit Bureau to warn other provider and lenders that you are a potential risk as a customer. How can I access my credit record? You will need to upload a copy of your identification and proof of address to access your credit report. Remember that the National Credit Bureau entities you to one credit report per annum. If you have already requested one in the last 12 months, an additional fee will apply to process the enquiry. If you have a blemish-free credit record, you may be in a position to renegotiate interest rates in your favour with the bank or your lenders. Mistakes can and do happen. 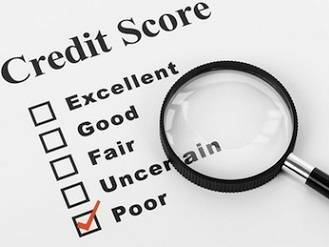 If you find that you have an adverse listing on your credit record for which you are not responsible, it is important to seek legal advice immediately. Or even if you read your credit report but do not understand it is important to seek advice from a professional. The National Credit Regulator can also help with any enquiries you have. Being blacklisted has many negative effects on your financial freedom. Additionally, potential employers are also allowed to ask for your credit record and being blacklisted or having a poor record can negatively affect your chances of being employed. For these reasons, try to make all payments on time to avoid blemished on your credit record. Know your budget limits and do not live beyond your means. It is not enough just to pay your bills – you need to pay them on time or imperfections can appear on your credit record. What can I do if I am blacklisted? Moving forward, pay all your bills on time (not even a day late!). Overdue medical bills are one of the biggest causes of blemishes on South African credit records so make sure that you have made all your necessary medical payments. Ensure that you make your full minimum credit card payment each month. Always be proactive. If you know that you are in a sticky situation with bills you owe, approach creditors before they approach you to renegotiate the terms of your payment to a manageable level. Make use of debt counsellor services, which are offered free by the National Credit Bureau. While you are undergoing debt counselling, creditors are also not able to take legal action again you while your debt is in review. If you cancelled a contract, make sure that you are no longer receiving accounts for it. If you are still listed in the system, these unpaid accounts will reflect on your record.